Be the first to share your favorite memory, photo or story of Mr. Bobby. This memorial page is dedicated for family, friends and future generations to celebrate the life of their loved one. 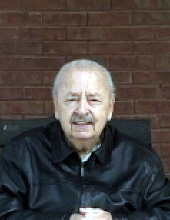 Mr. Bobby Rakestraw, age 88, of Hiram, Georgia, passed away on Friday, March 29, 2019 at his residence. Mr. Rakestraw was born on February 4, 1931 to Amos Clinton Rakestraw, Sr. and Louise Elizabeth (Roper) Rakestraw. He was a member of Zion Baptist Church. Prior to his passing, he worked as a mechanic and purchaser for the Paulding County School System. He was preceded in death by his wife, Fay (Eidson) Rakestraw; his parents, Amos Clinton (Louise Elizabeth Roper) Rakestraw and his brothers, Amos C. Rakestraw, Jr., Tyre Rakestraw, Ansel Rakestraw, Bennie Rakestraw and Danny Rakestraw. Bobby is survived by his son, Steve (Charlotte) Rakestraw; his son, Keith Rakestraw; his daughter, Alisa (Dale) Trout; his daughter; Carla (Steve) Findley; his grandchildren, Stephenie (Todd) Pope, Rod (Jamie) Trout, Lauren (Ray) Roquemore, Ryan (Breana) Rakestraw, Alisan (Michael) Latham and Anna (Jeremy) Roberts; his great grandchildren, Morgan (Kevin)Duncan, Lexi Pope, Findley Roquemore, Kaylee Trout, Molly Trout, Lawson Roquemore, Jake Trout, Rylee Rakestraw, Fae Roberts, Hutson Latham, Taylan Latham, Marlowe Roquemore and Madelyn Roberts; his brother, Mike Rakestraw: nieces and nephews also survive. Funeral Services for Mr. Rakestraw will be held on Sunday, March 31, 2019 3:00PM at Zion Baptist Church with Rev. Travis Warren and Rev. Bob Butler officiating. Interment will follow at the church cemetery. He will lie in state for one hour prior to the service on Sunday. The family will meet at the church on Sunday. The family will be receiving friends on Saturday, March 30, 2019 from 3:00PM - 6:00PM at Benson Funeral Home. To send flowers or a remembrance gift to the family of Mr. Bobby Rakestraw, please visit our Tribute Store. "Email Address" would like to share the life celebration of Mr. Bobby Rakestraw. Click on the "link" to go to share a favorite memory or leave a condolence message for the family.